The Information Resource Centre (IRC) is a multi- functional education facility for the 21st century. It is a three level building, accommodating a two level Library, three English Classrooms, an Information Technology Centre and a student Common Room. 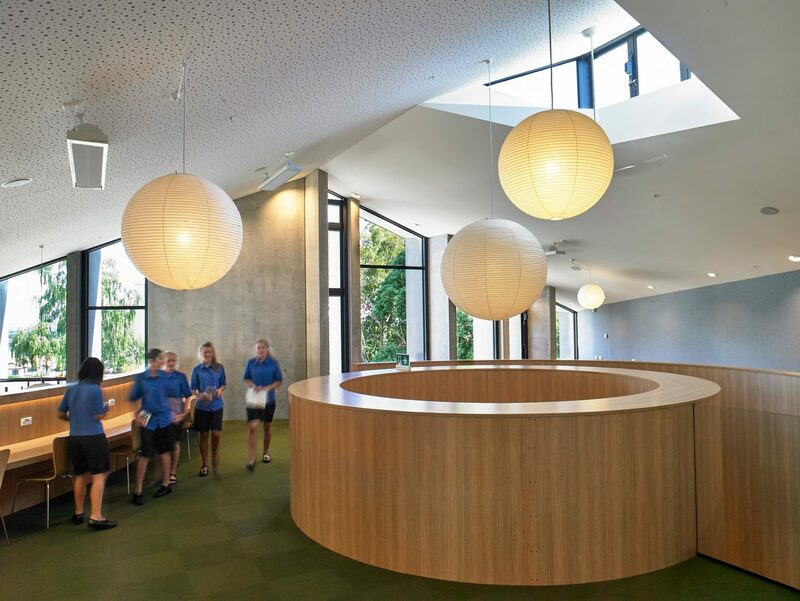 Although bold and contemporary in its architectural expression the new building is also respectful of its context and has a timeless quality, ensuring cohesion with the historic school. 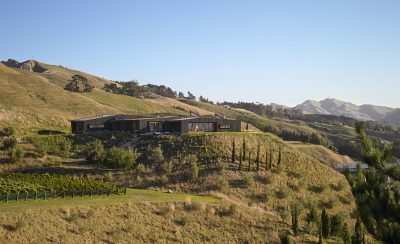 The gable-roofed building enables a strong relationship with the form and scale of the adjacent heritage buildings, but through a contemporary architectural language. 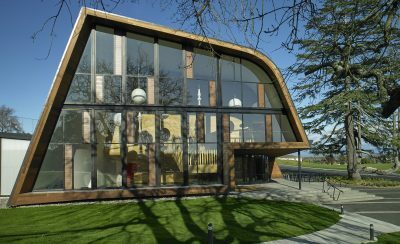 Vertical fins create a rhythm, echoing the colonnade of the main school building whilst providing a welcoming entry. These deep-set fins provide shade for the interior space and dramatize the play of light and shadow across the facade. The library is the soul and hub of the centre, a dynamic and stimulating environment with a range of distinct spaces for different modes of learning. 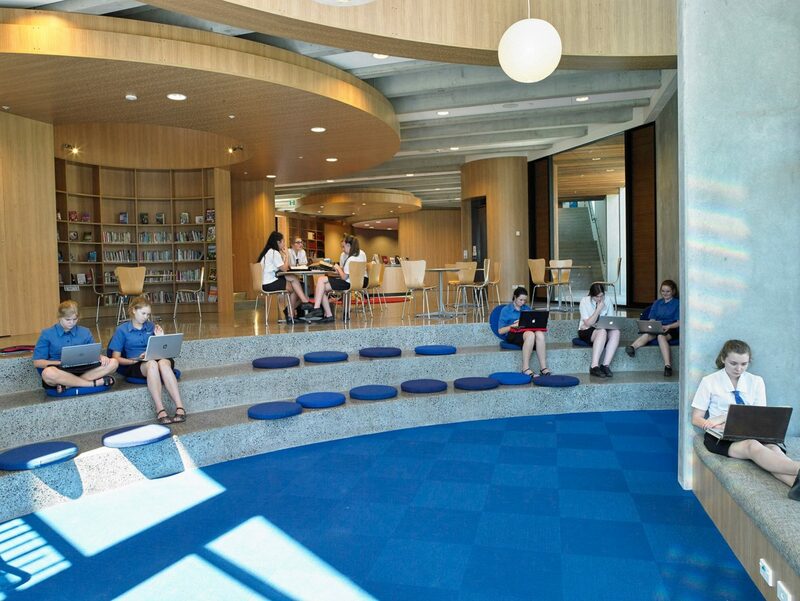 Incorporating Fielding Nair’s Design Patterns for 21st Century Schools; ‘Watering holes’ provide social areas for working collaboratively in groups, and ‘Campfires’ provide more traditional learning areas where adults or students present to a larger group, while ‘Caves’ provide intimate quiet areas for individual learning. 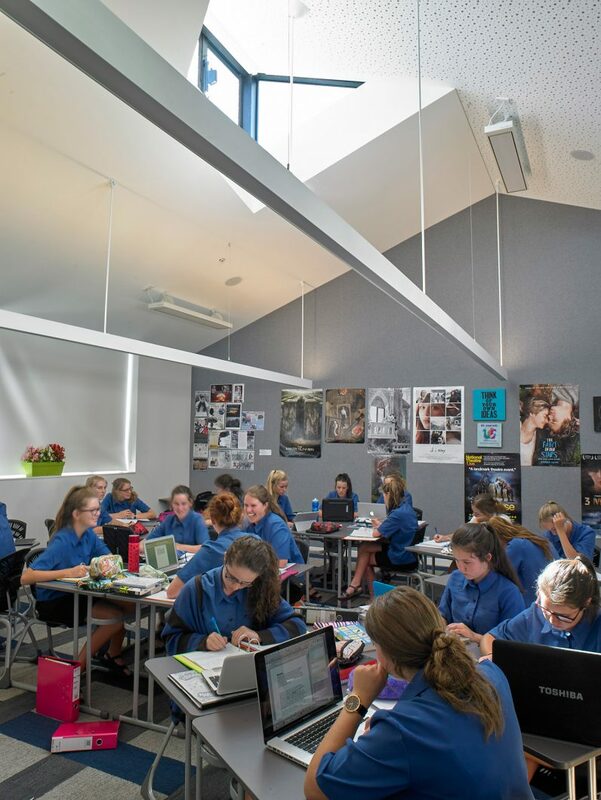 Above, the English Department occupies the top level with lofty ceilings awash with natural light. Below is the I.T. Room and the student’s common room which opens itself out onto the lawn. We sought to create an educational environment that inspires creativity and encourages open and enquiring minds through the poetics of space.